The former Control Tower and hangar at Pershore Airfield. The airfield opened in June 1934 and until the outbreak of World War II it was home to the Worcestershire Flying School with Tiger Moths. Soon after the outbreak of the war the airfield was requisitioned. From April 1941 to March 1944, the airfield was used by the Operational Training Unit to train Canadian crews with Wellingtons. During the war the airfield was attacked three times by the Luftwaffe. From 1957 to 1978, the site was used by the Royal Radar Establishment. 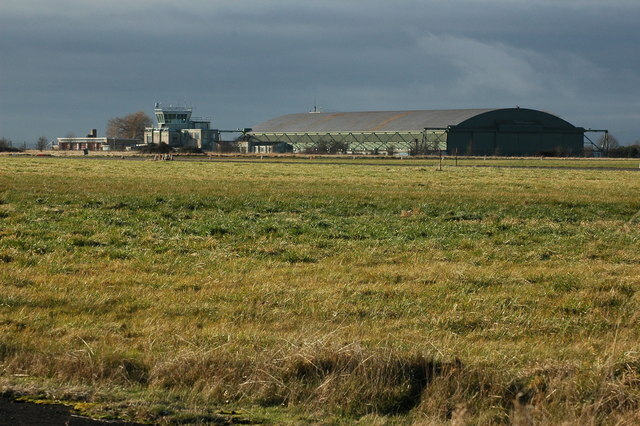 Today the airfield is disused, however, the site is used by a number of businesses.